Discussion regarding membership requirements and chapter development. Listen attentively to the people. There is no change without them. Be courteous and respectful, especially to the youth and elders. Protect and defend one another and your communities. Don’t make promises that you can’t keep. Your word is bond. Be honest. Do not lie, cheat or steal from the people. 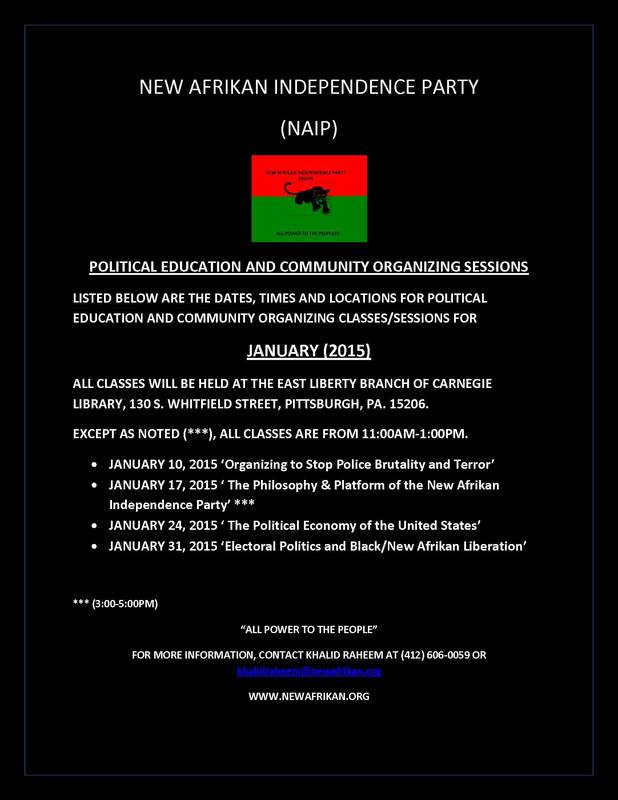 Party members must study and learn the NAIP philosophy and platform. Depending on their schedule and availability, all Party members must participate in Political Education (P.E) and Community Organizing (C.O.) classes. Follow your national and local leadership. Focus on principle, not personality. Do not use drugs, alcohol and/or intoxicants while representing the NAIP or doing Party work. Work hard to get things done. Talk is cheap. Develop and maintain a moral compass in all that you do. 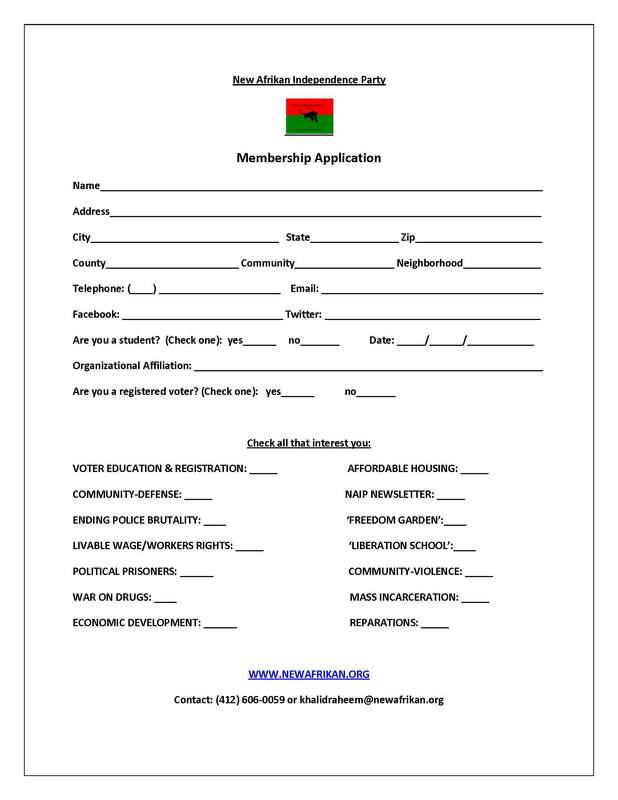 ARE YOU READY FOR AN INDEPENDENT BLACK POLITICAL PARTY??? 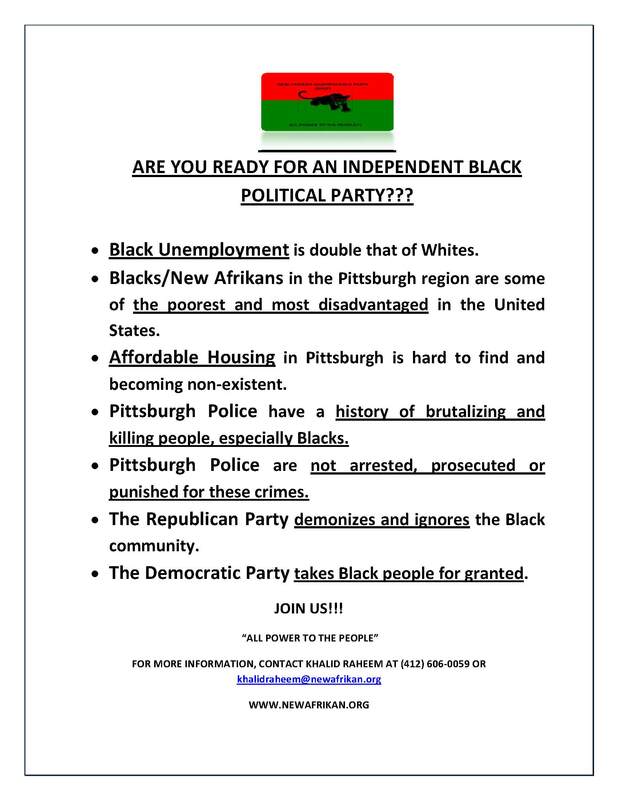 Are you ready for an independent Black political party (Pittsburgh, Philadelphia, Chicago, LA, NY, Dallas, Cleveland, Atlanta etc.) ???? 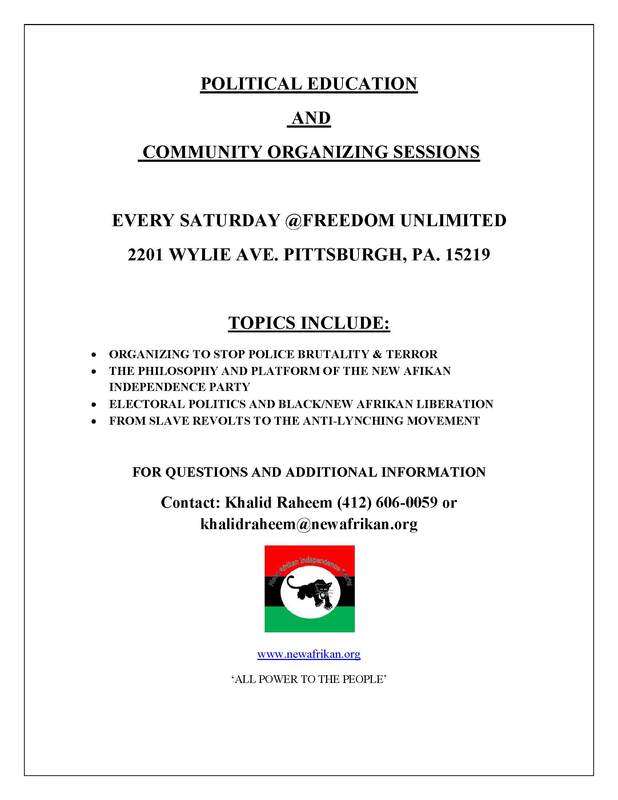 The following represents the curriculum and schedule for Political Education and Community Organizing sessions and classes. They are cyclical and consist of 10-12 sessions, interspersed with guest lecturers and events. Sessions should be between 2-3 hours. Specific dates and times should depend on the availability of space and resources in your area. ALL POWER TO THE PEOPLE! EDUCATE TO LIBERATE!